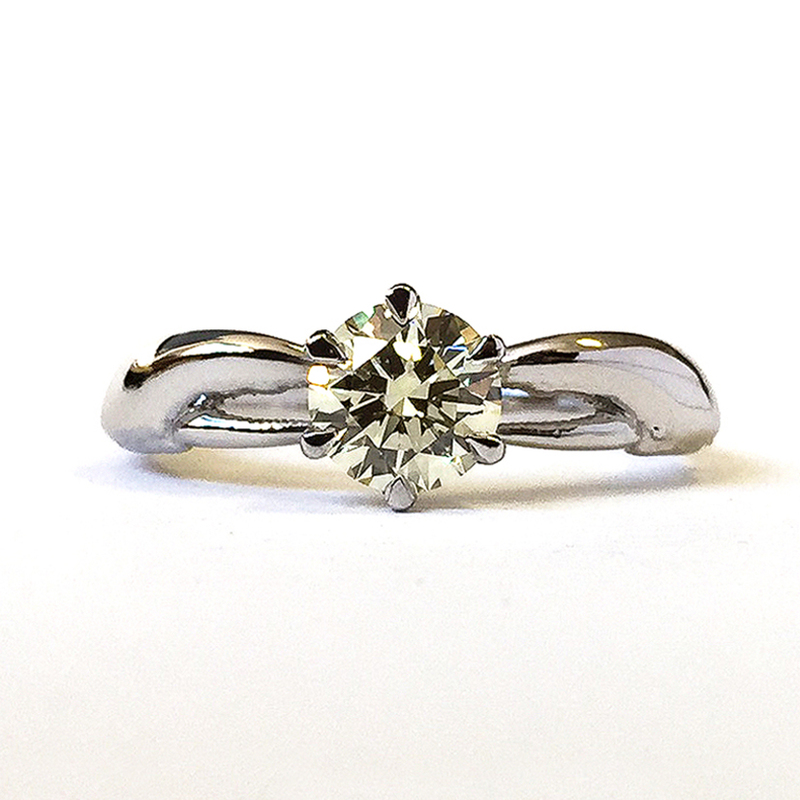 An organic engagement ring, designed & crafted especially for you. 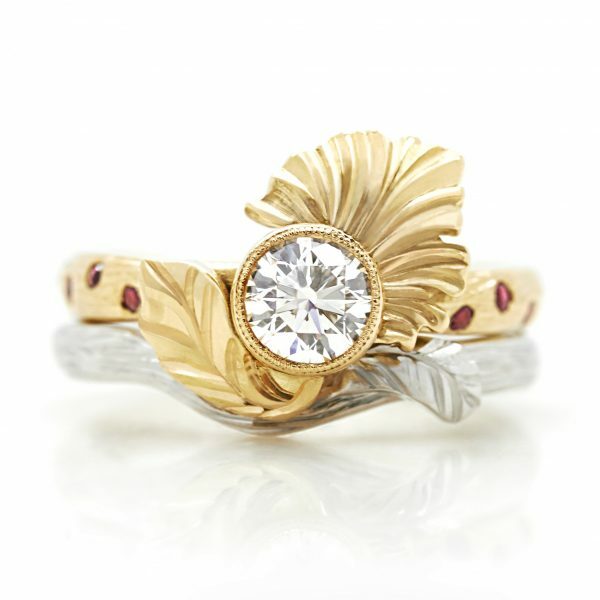 Curved lines, delicate leaves, and flower motifs feature on organic engagement rings that are inspired by nature’s finest forms. 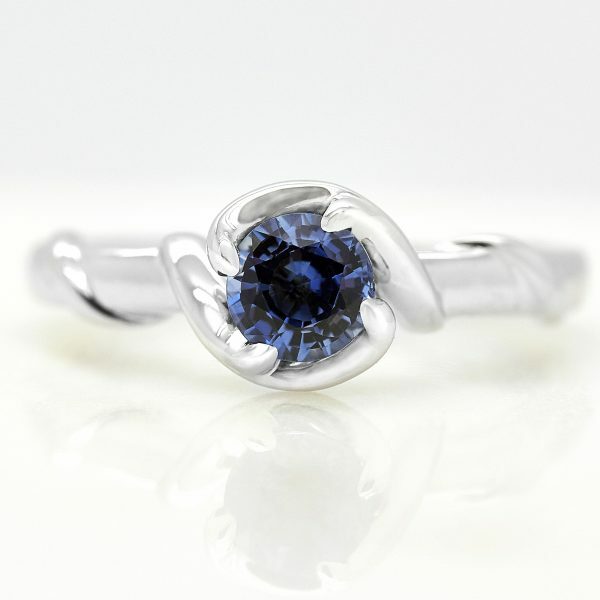 Organic and natural forms is the inspiration behind a variety of artistic creations, but is often most delicately achieved in jewellery design. 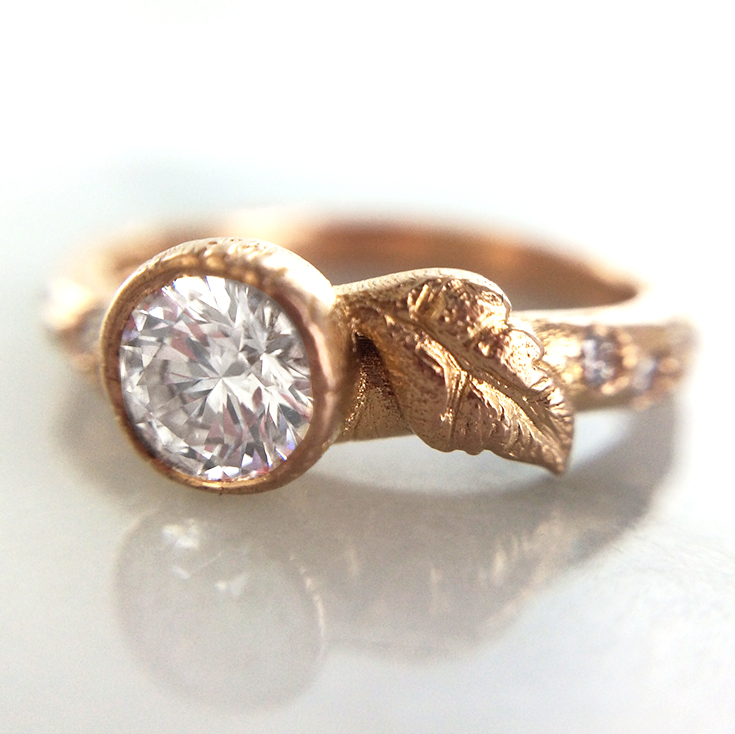 Get inspired by our organic engagement rings, individually designed and finished with nature-inspired design elements. 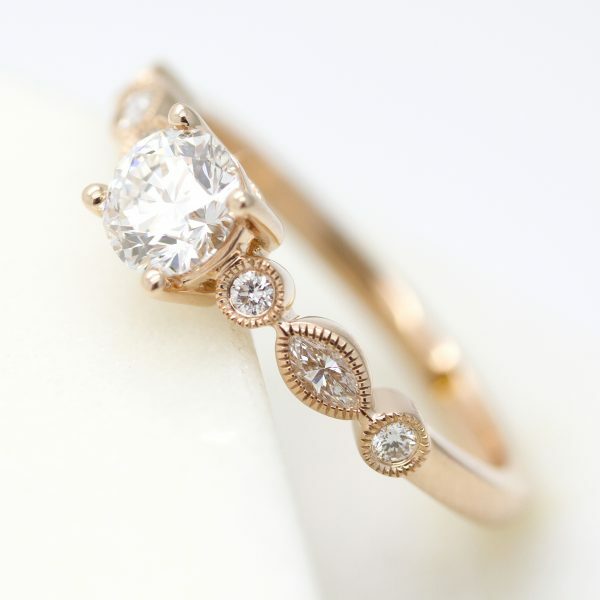 With all of the wild curls and whimsical turns nature surrounds us with, organic style engagement rings pull inspiration from anywhere and everywhere. 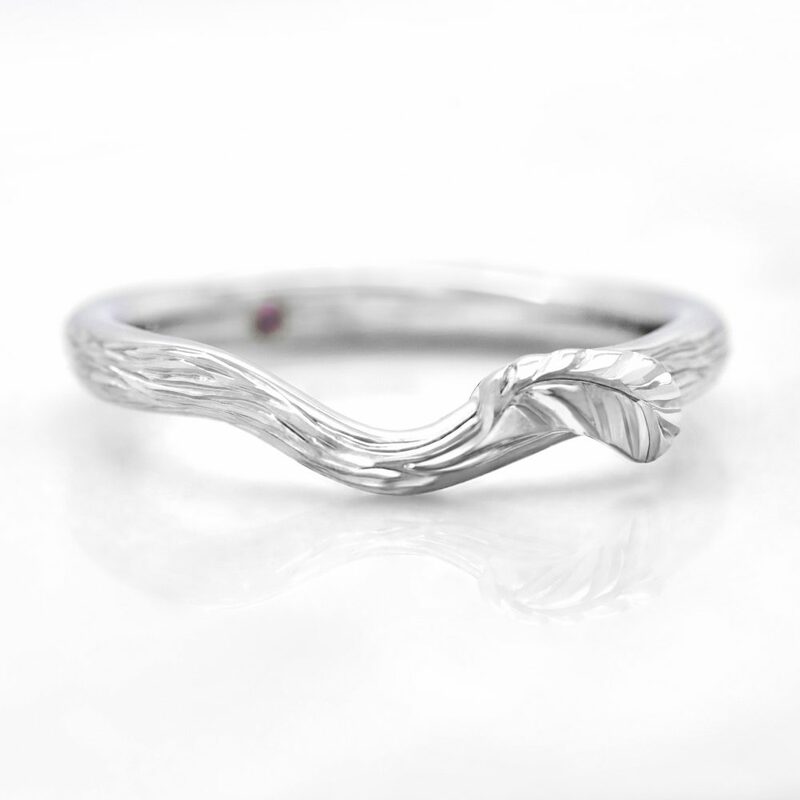 Be it waves, vines, leaves, or clouds, interpreting the natural world with metal and precious gemstones is in high demand and it’s not hard to see why. 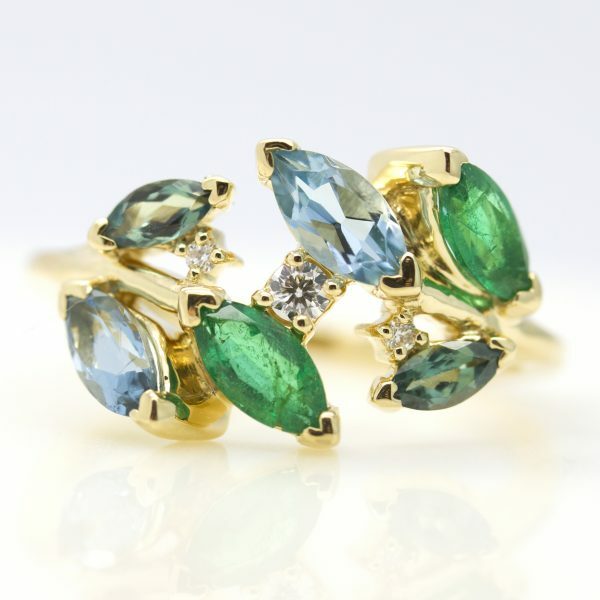 What better way to exhibit precious gemstones and metals than in a design inspired from where its materials were sourced? 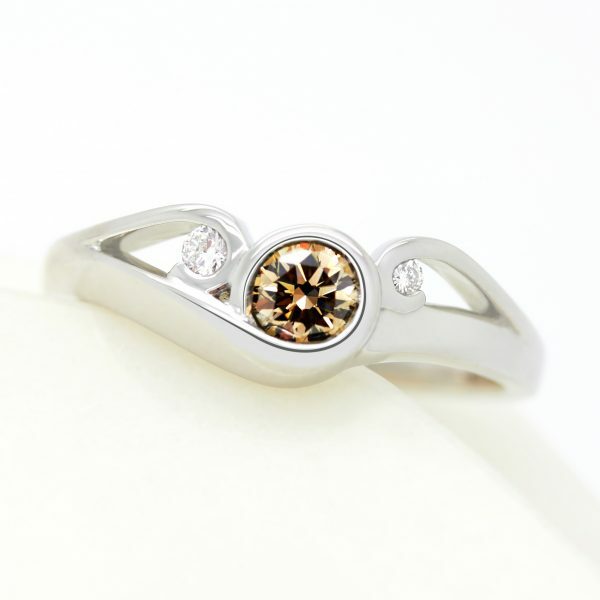 Organic style engagement rings like these remind us that gemstones and precious metals come from the earth and have an inherent beauty. 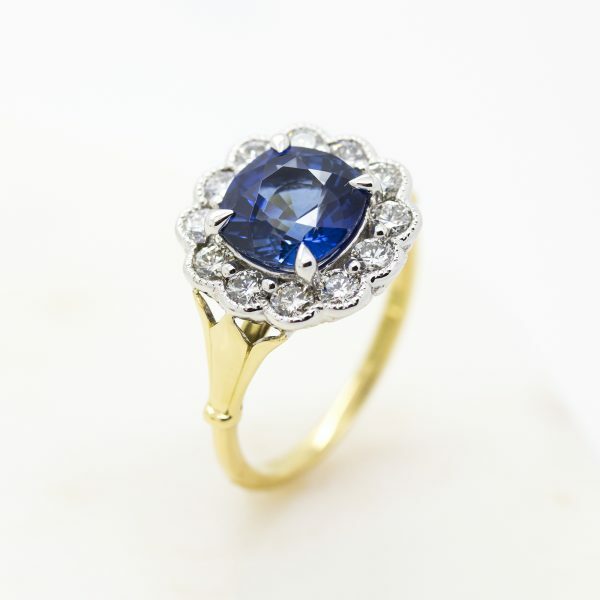 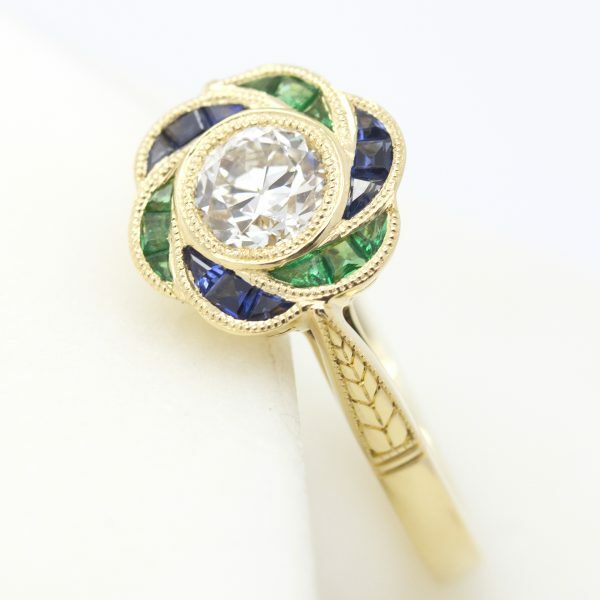 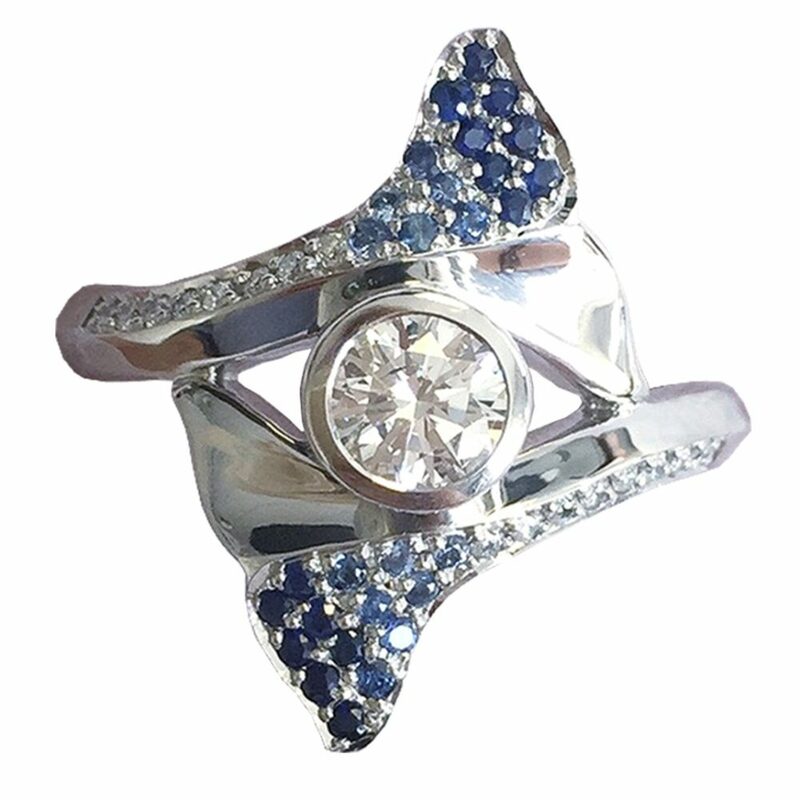 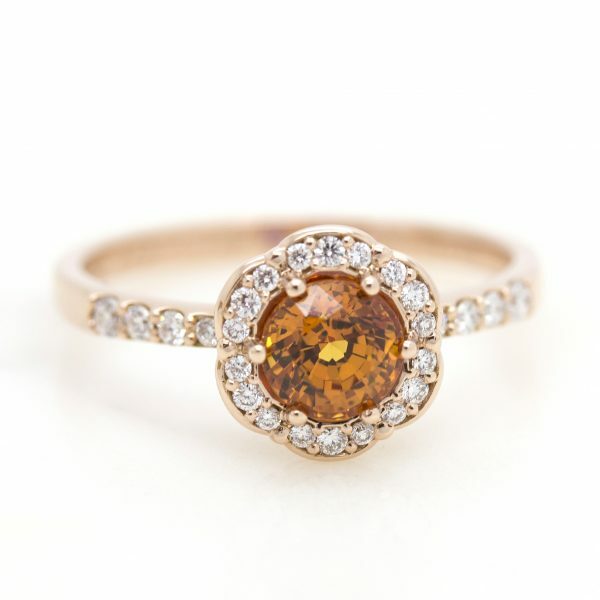 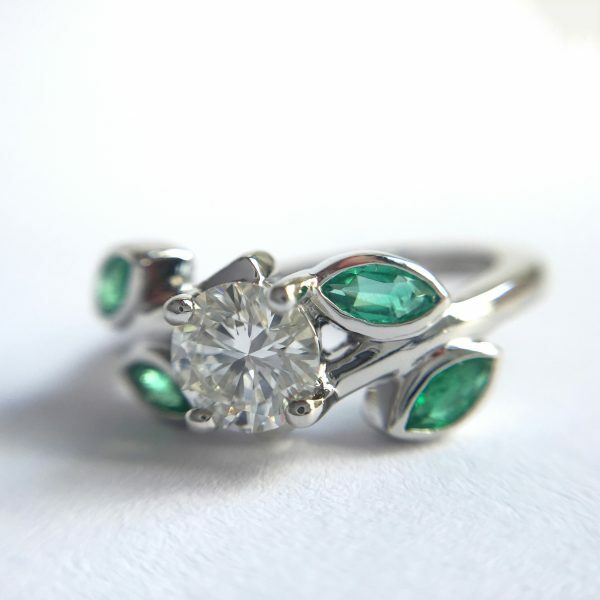 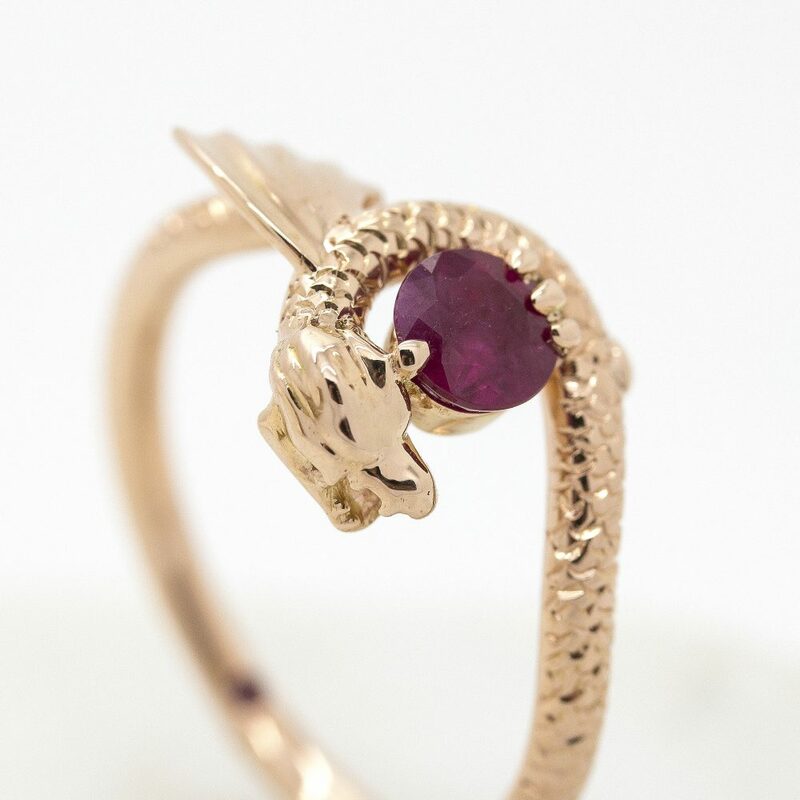 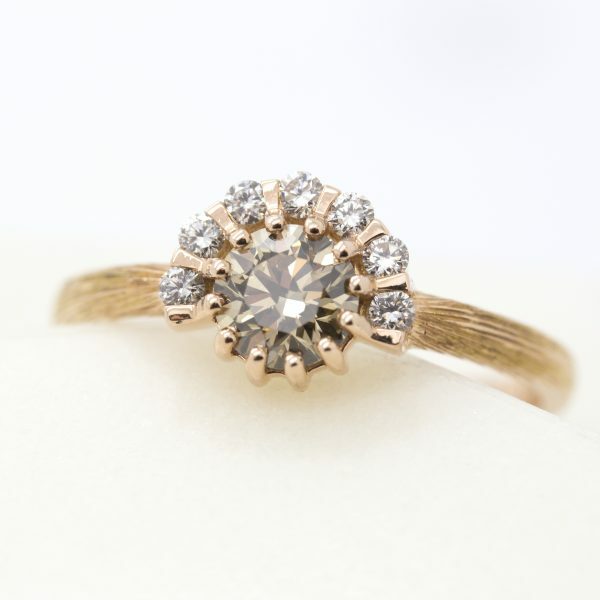 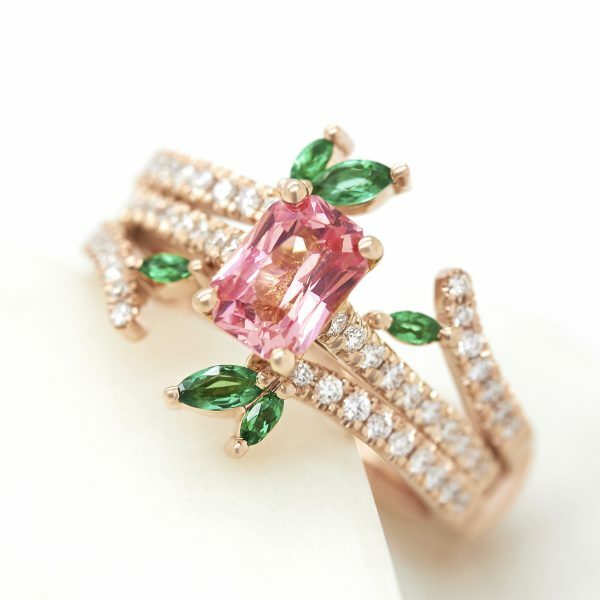 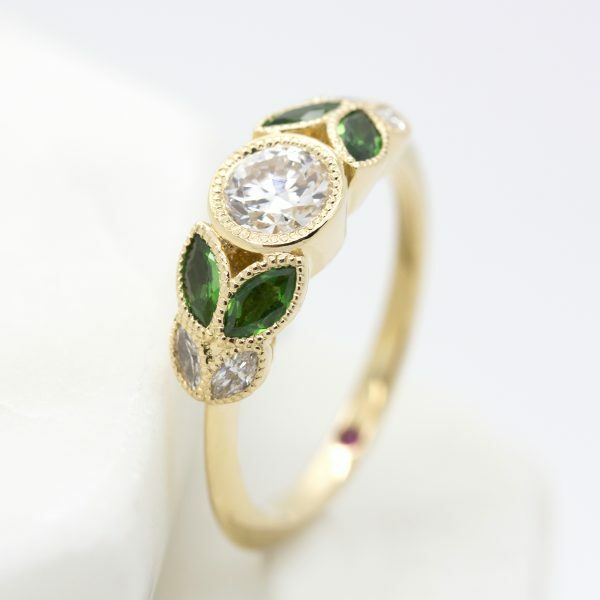 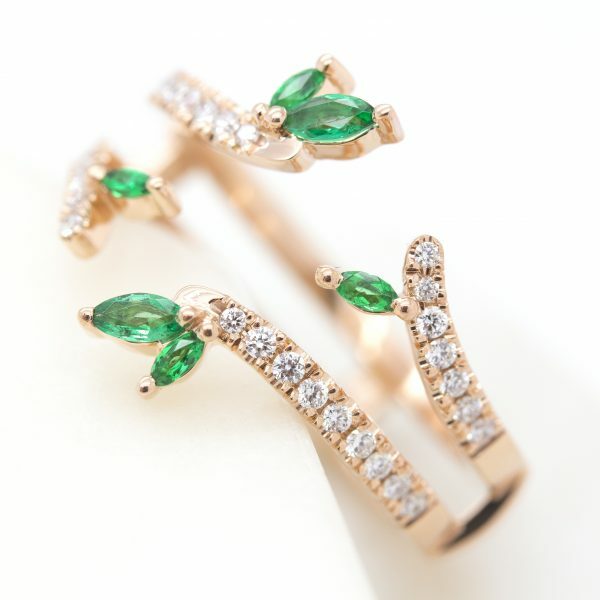 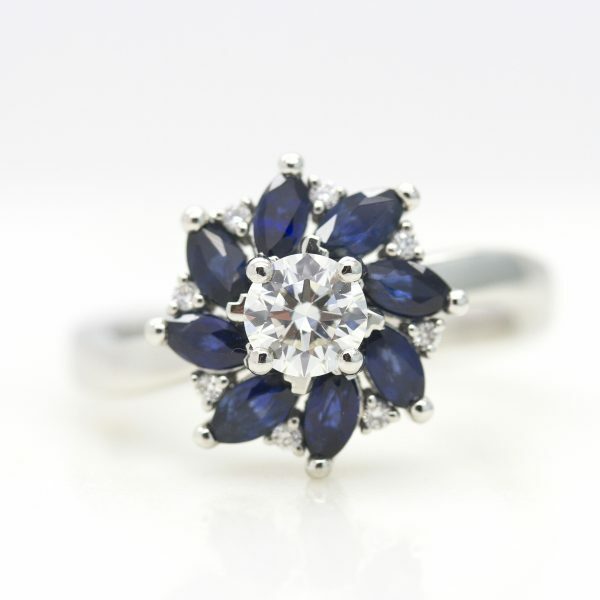 In most cases, organic engagement rings are inspired by flora or fauna–plant or animal life. 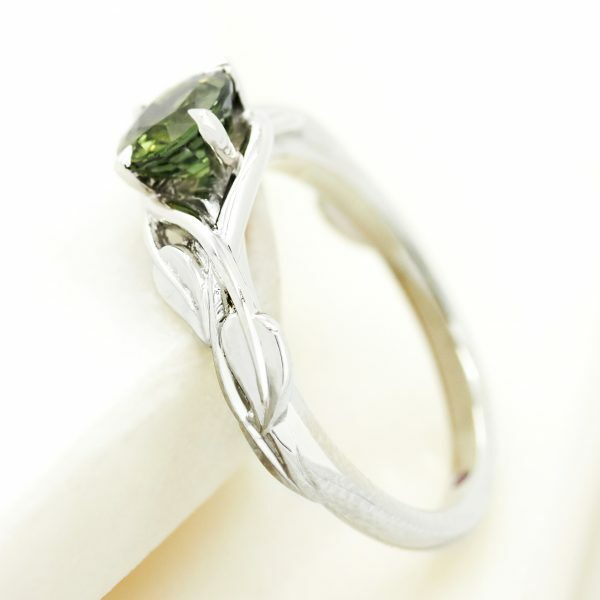 Inspired by natural botanical forms, organic engagement rings feature designs that resemble branches, vines, flowers, leaves and even replicate textures seen on bark. 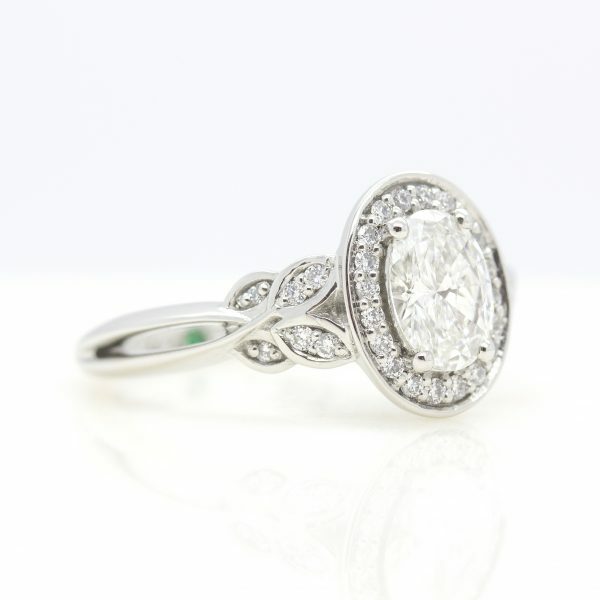 Flower engagement rings are particularly popular as they carry a delicate beauty and floral designs are synonymous with romance. 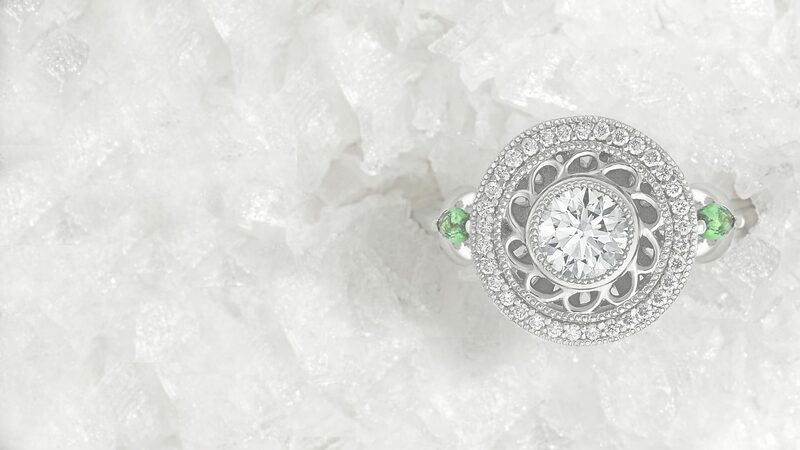 Inspired by animal life, we’ve seen nature inspired engagement rings based on a variety of creatures from whales and lobsters to hedgehogs, bird’s feathers and scales. 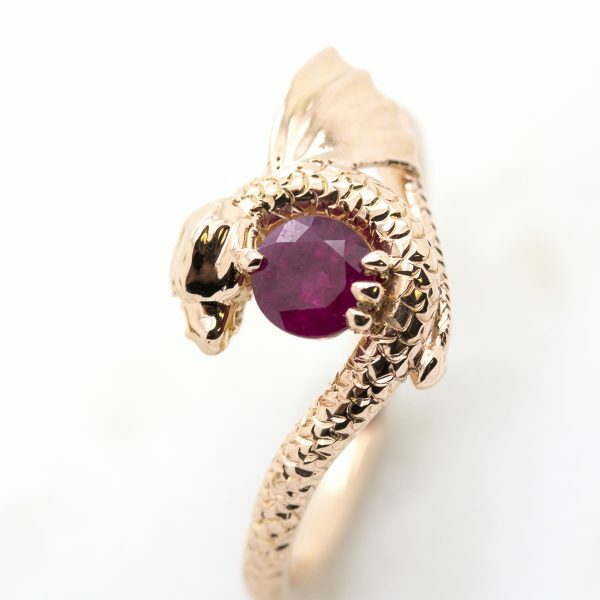 Other inspirations can be taken from mythical creatures such as dragons, or scenic terrain like mountainous regions or natural elements like clouds, water or fire. 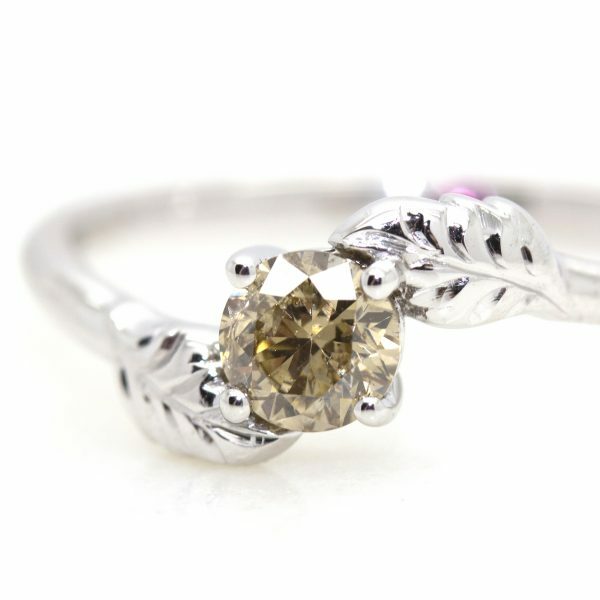 Essentially, if you can imagine it, it can be crafted and interpreted into your very own organic engagement ring. 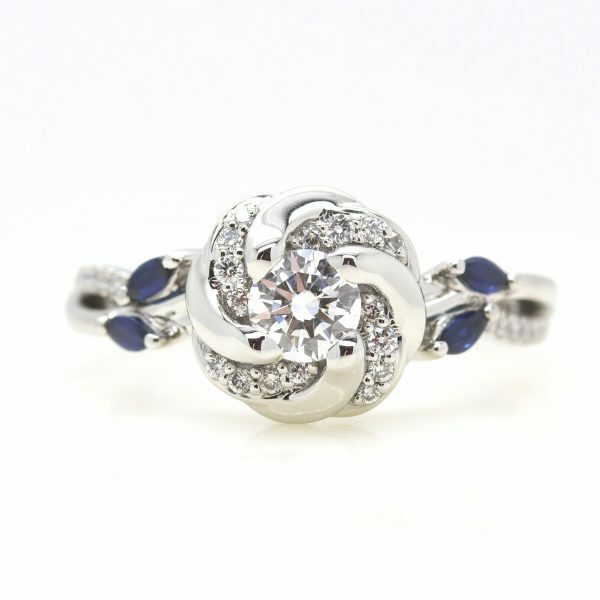 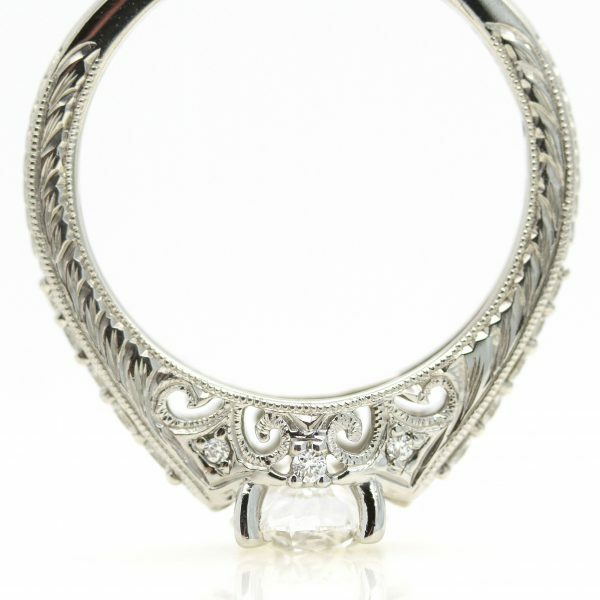 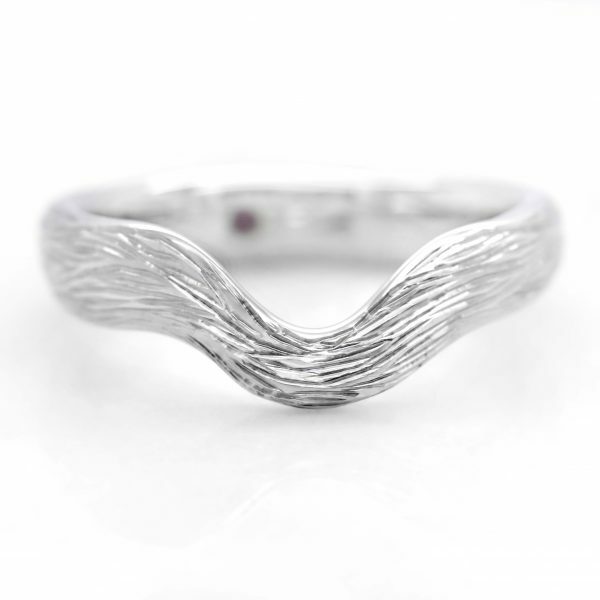 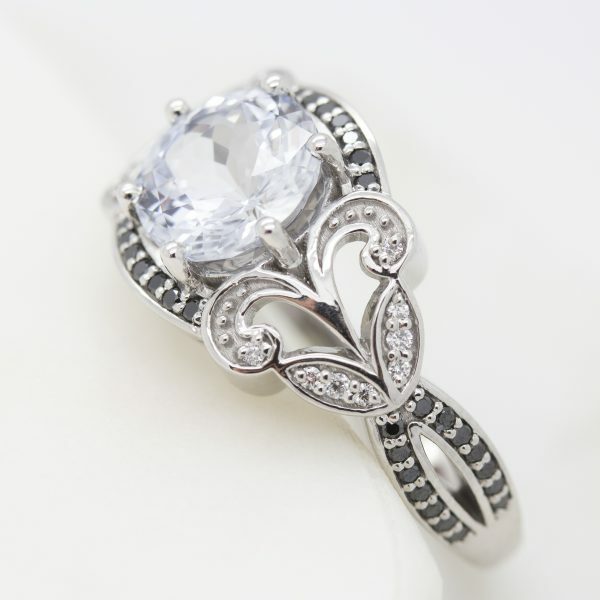 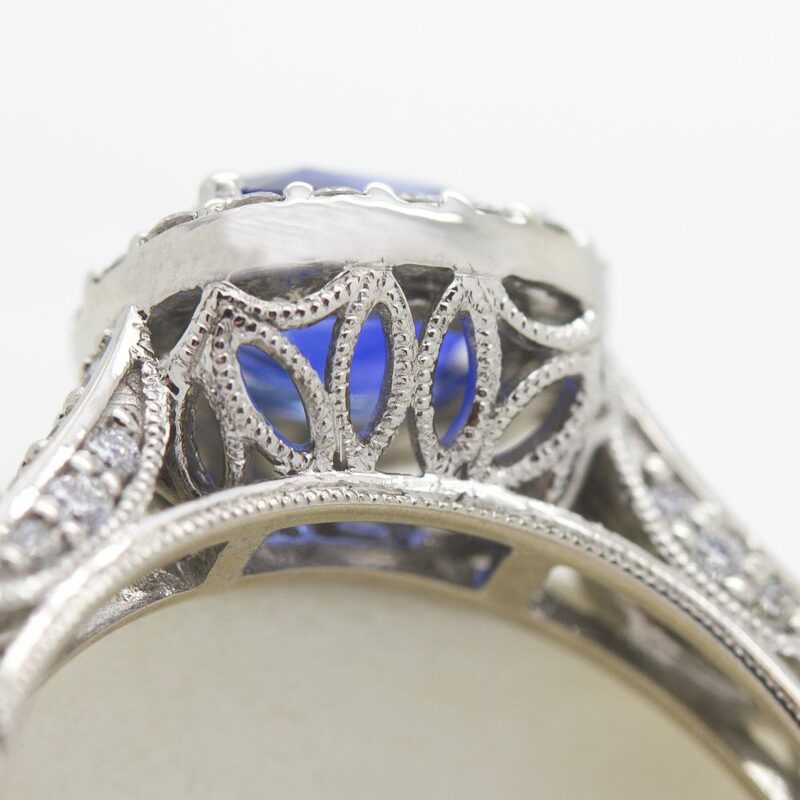 Organic engagement rings often feature filigree and hand engraving. 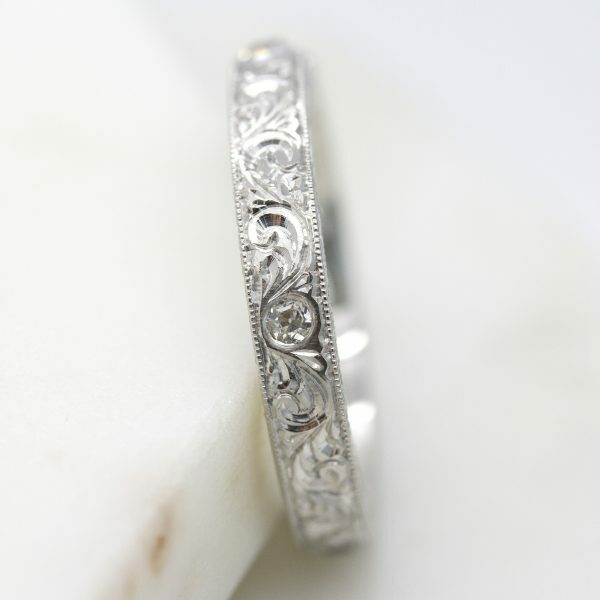 Filigree sees metal cutouts, inspired by natural forms, featuring beautifully intricate hand-carved shapes and designs along the band. A hand engraved engagement ring can achieve organic and floral motifs, to fulfil your nature-inspired design. 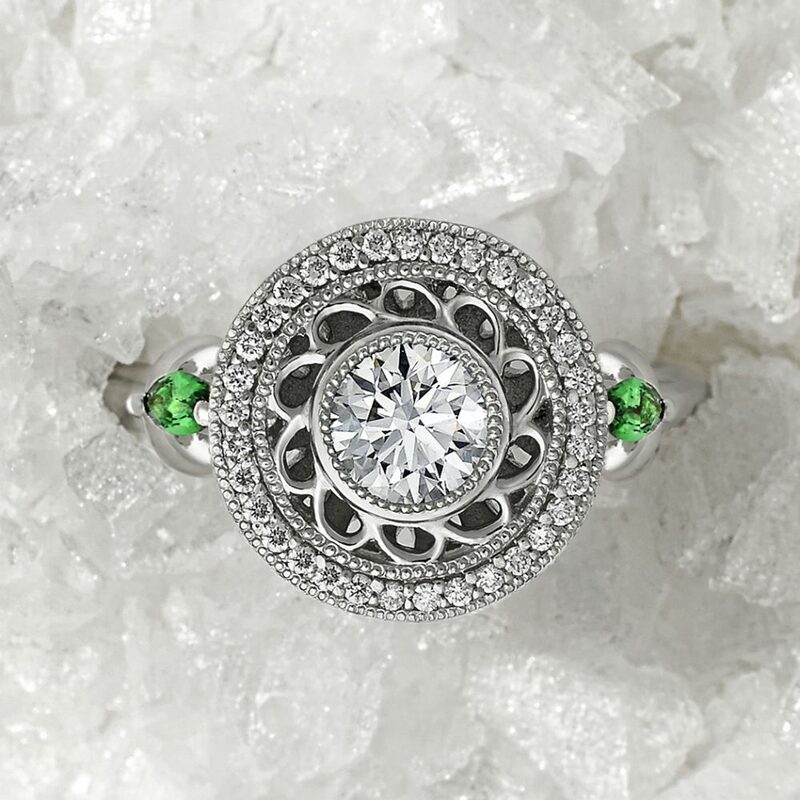 Ranging from whimsical and abstract to more accurate and true-to-life interpretations, nature-inspired engagement rings are a wonderfully unique and sweet way to represent your love.